Tight fitting ground coffee container (holds up to 4 oz. 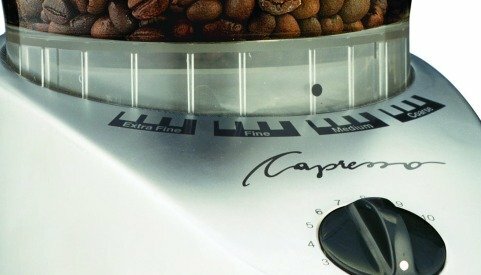 of ground coffee). See through bean container holds up to 8.8 oz. of beans. Heavy duty zinc die-cast housing. 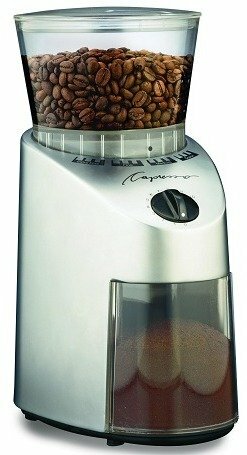 Be the first to review “Capresso 560.01 Infinity Burr Grinder, Black” Click here to cancel reply.